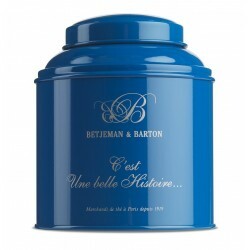 Discover our best teas sold in beautiful tea caddies! These caddies are coloured and compose the essential of our assortment. 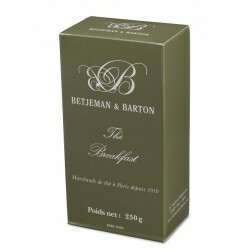 And for those who prefer the practical side, you can choose our tea bags boxes. The captured loose leaf tea as we call it. 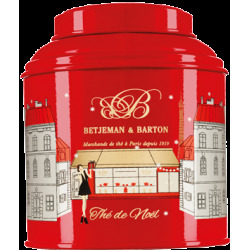 Founded in 1919, the Tea House Betjeman and Barton offers a large range of high quality teas, carefully chosen, as well as exclusive blends. Discover our selection of Classic teas and Grands crus, such as the famous Assam teas, the Ceylon teas or also our Darjeeling teas. 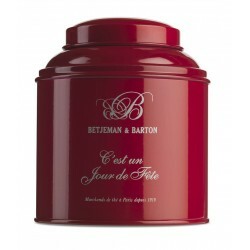 We have also selected for you the best of Chinese teas, the China black teas, green teas and the delicate white teas. Find out our selection of world teas such as teas from Japan, teas from Hawai, the famous Maté from Brasil, the rooibush from South Africa as well as our selection of crafted teas. 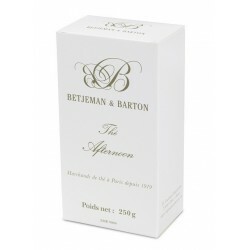 Betjeman and Barton, it's also a wide range of Perfumed teas, original creations on a basis of black tea, green tea, white tea or rooibush. Discover our fruity, flowery, sweet and invigorating tastes. Find also our selection of iced teas, to be enjoyed all summer long, as well as our selection of herbal teas and fruits infusions. In order to preserve the most subtle flavours of your favourite tea, don't forget to protect it in one of our beautiful tea caddies. 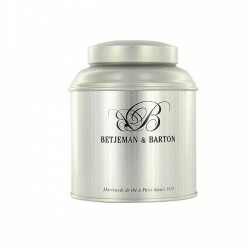 Find out our plain and decorated tea caddies, as well as our tea chests made of precious wood. We also have a wide range of accessories around the tea and of cast iron teapots directly coming from the most beautiful factories in Japan. Don't hesitate to discover our local shops in Paris and surroundings, in Province and around the world in our page "Our local shops". We also invite all our customers passing through Paris to come and discover our Tea Bar, the first of its type in Paris opened in 2012, a capital of tea degustation with a typical Parisian chic, just a short walk away from the famous Cirque d'Hiver.